On tap at Union Jack Berlin. Comes with a clear, golden color and a nice white head. Grassy and malty aroma with some nice hops. Taste is crsip, malty and descent hopy note. herbal finish. simple but ok.
Draught at Schnitzelei (well worth a detour) Pours clear straw yellow with a creamy white head. Pure malty and balanced, high drinkability! Draught @ the superb Schnitzelei, Berlin. 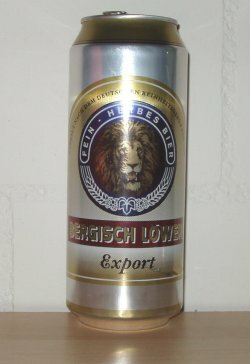 Typical (clean) lager like malt sweetness and floral hop notes in the aroma. Sweet bready malt and a small touch of citrusy hops in the taste. This beer may be the most drinkable of them all. (Draught, as Löwen Pils, at Brauhaus Südstern, Berlin, on 2009-02-05) Golden and clear. Long lasting white head. Butter and hops in aroma. Dry medium bodied palate with medium carbonation. Butter, bitterness, grass, some fruitiness and hint of malts in taste. Bitter and grassy aftertaste. Blond color. A lot of bubbles. Simple aroma, with some hop. Common Lager, even if brewed without technical flaws.